‘Translations are but as turn-coated things at best, specially among languages that have advantages one of the other.’ Howell, c1645 (from Oxford English Dictionary entry for ‘turncoat’). 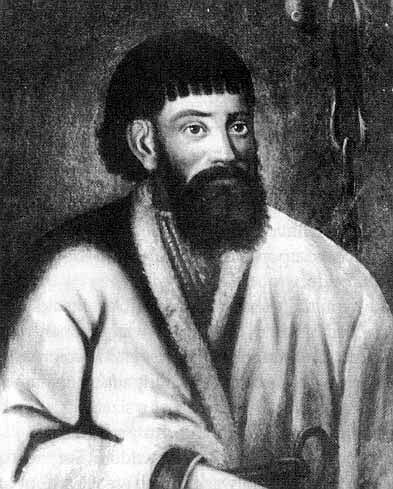 Yemelyan Pugachev, leader of the most dangerous peasant revolt in Russian history. The Captain’s Daughter is presented as a memoir, written towards the end of his life by a provincial nobleman, Pyotr Grinyov. The plot turns on a number of gifts and their unexpected consequences. On his way to serve as an officer in the south-eastern province of Orenburg, the sixteen-year-old Pyotr gets lost in a blizzard and is guided to safety by a mysterious peasant. Pyotr generously expresses his gratitude by giving the peasant a hare-skin coat. In Fort Belogorsk, where Pyotr is posted, he falls in love with Masha, the captain’s daughter, and fights a duel against a jealous rival, Lieutenant Shvabrin. A rebellion breaks out; its Cossack leader, Yemelyan Pugachov, captures Fort Belogorsk. The treacherous Shvabrin goes over to Pugachov and advises him to hang Pyotr along with the other officers. Pyotr’s servant realizes that Pugachov is the peasant to whom Pyotr gave the hareskin coat. Despite Pyotr’s refusal to recognize him as Tsar, Pugachov spares Pyotr’s life and allows him to go free; he even gives Pyotr the gift of a horse and a sheepskin coat. A few months later, Pugachov shows still greater generosity, allowing Pyotr to return to Belogorsk and rescue Masha from the hands of Shvabrin, who is trying to force her to marry him. After the rebellion has been put down, Shvabrin denounces Pyotr, making out that Pyotr deserted to Pugachov just as he did himself; Pyotr’s acceptance of Pugachov’s gifts is used in evidence against him at a tribunal. In the last chapter, Masha goes to Petersburg, speaks to the Empress and persuades her of Pyotr’s innocence. Catherine II. In the last chapter of the novel, Masha goes to Petersburg, speaks to the Empress and persuades her of Pyotr’s innocence. My appreciation of The Captain’s Daughter has moved through several stages. At first, as I have said, I saw the novel as being rather casually structured – a patchwork quilt, a random collage of fictional letters, historical detail, and poems in a variety of different styles. Next, I became aware of such larger-scale symmetries as the parallels between Pyotr’s meetings with Pugachov and Masha’s meeting with Catherine the Great (Pyotr does not know Pugachov’s identity when they meet in the snowstorm, nor does Masha know Catherine’s identity when they meet in the park – and neither Pugachov nor Catherine has a true claim to the Russian throne). There are many other such symmetries (the two gifts of coats, the two attempted gifts of half a rouble, the two occasions, in the first and last chapter, when the elder Grinyov reads the Court Almanac). Thirdly, I became aware of the significance of a number of repeated phrases. 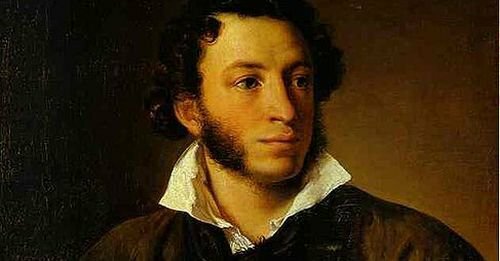 Lastly, I began to notice the way Pushkin plays with repetitions of individual sounds. Other examples of Pushkin’s sound play are more extended. Pyotr’s French tutor, Beaupré, carries with him his own sound world, centred on two of the consonants from his own name. Pushkin’s first description of him begins as follows: Beaupré v otechestve svoem byl parikmakherom, potom v Prussii soldatom, potom priekhal v Rossiyu pour être outchitel. This aura of ‘PR’ proved oddly easy to reproduce; for the main part, in fact, we reproduced it unwittingly, before I had even consciously noticed it in the original. Only after coming up with the word ‘pronouncing’ for a sentence about Beaupré’s love of vodka cordials – ‘even came to prefer them to the wines of his fatherland, pronouncing them incomparably better for the digestion’ – did I realize that at least part of the word's appropriateness came from the way it harmonized with such words as ‘Prussia’, ‘prefer’, ‘prod’, and above all with Savelich’s scornful repetition of Beaupré’s repeated requests to the housekeeper for vodka: ‘Madam, zhe vu pri, vodkoo’. Some of Pushkin’s effects of alliteration extend only the length of a single sentence. There is one last thread to hold up to the light. As an epigraph to this essay I chose a sentence quoted in the complete Oxford English Dictionary as an example of the use of the word 'turncoated'. This scornful view of translations, this feeling that they are 'turncoated things at best', has persisted over the centuries – and not only in the English-speaking world. About half of the articles I read about translation in non-academic publications mention either the Italian pun on 'traduttore' and 'traditore' (translator and traitor), the French idea of 'les belles infidèles' (i.e. that translations are like women – either beautiful or faithful, but never both) or Robert Frost's irritating dictum that 'Poetry is what gets lost in translation'. My hunch is that this hostility towards translators and their work arises not from the entirely justified view that most translations are imperfect but from a suspicion of translators per se. Translators are, by definition, at least relatively at home in two or more cultures and their loyalty to any single culture is therefore questionable. It is interesting that Pushkin, apparently somewhat irrelevantly, tells us that Pyotr Grinyov is himself something of a translator. Not only does he, as a child, teach Beaupré to speak Russian; not only does he mediate between the world of the aristocracy and that of the Cossacks and peasants; he even, while serving in a remote steppe fortress, studies French and – most surprisingly of all – does regular translation exercises. Рано утром разбудил меня барабан. Бопре в отечестве своем был парикмахером, потом в Пруссии солдатом, потом приехал в Россию pour être outchitel. Мадам, же ву при, водкю. В эту минуту послышался легкий шум, и из-за шкапа явилась Палаша, бледная и трепещущая. This list of words is abbreviated. It is taken from an article by Sergej Davydov, ‘The Sound and Theme in the Prose of A.S. Pushkin’, SEEJ, 27.1, (1983). Davydov refers to what Pushkin does with P-L-T as a ‘logogram’, citing F. de Saussure’s definition of this as ‘a “gram” (Greek “gramma”), constructed around a subject which inspires the whole passage, and is more or less its “logos”, its rational unity, its function.